Looking to contact Home Energy? Click here. Back in the 1980s, while teaching at the University of California at Berkeley, our founding editor Alan Meier saw a missing link between the latest science in the home energy field and the tools and techniques used by residential building professionals. In 1984, Alan and other colleagues based at the Lawrence Berkeley National Lab started Energy Auditor and Retrofitter magazine, which was quickly given the more memorable title: Home Energy. At that time, Home Energy was the only periodical devoted to advancing energy efficiency and conservation in existing homes. Our mission at Home Energy continues to be providing reliable, up-to-date information on energy-efficient products and best practices in home performance, energy efficiency, comfort, health, and affordability. What Is a Home Performance Contractor? 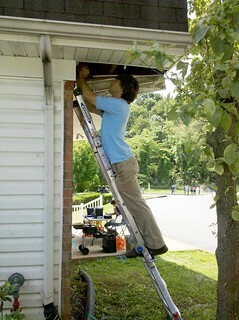 A home should be comfortable, safe, durable, healthy to breathe in, and energy efficient. If a home meets all these standards, then it performs well. But what if your house doesn't perform well? What if it is drafty, moldy, expensive to heat and cool, or just uncomfortable too much of the time? You need to find a home performance contractor. A home performance contractor has undergone specialized training so that he or she can diagnose a home's problems and find ways to fix them. As a cutting edge publication, Home Energy continually evolves in tandem with changes in building science. Our thorough coverage of all of the most relevant home performance news explains our strong renewal rate—more than 80%. As we advance into the new century, the field of home performance is expanding, and so is Home Energy. Home Energy magazine is published in four quarterly issues per year by Energy Auditor & Retrofitter, Inc., a 501c3 nonprofit organization. See our 2018 Editorial Calendar. Download our Writers/Photo Guidelines here.